There's nothing better to do for outdoor travel than to take a national park vacation. 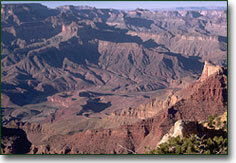 The United States has some 53 national parks located throughout our landmass and they are all spectacular. However, we've listed the top 10 parks below and can attest to being in each and every one so, this isn't some fake travel review, we have been there and they are amazing and we're pretty sure that if you like the great outdoors, you will think they are amazing as well. It's a whole lot better when you're on vacation to spend your time outdoors enjoying the natural beauty of God's creation rather than spend your time off from work in a touristy amusement park hanging out with creatures that have big mouse ears. But to each his own. The national parks offer a ton of activities to enjoy so you will never run out of things to do. In just about any park you can hike on hundreds of miles of trails, bike, camp, watch for wildlife, mountain climb, sight see, photograph nature, whitewater raft and various other activities. And then there are the winter activities such as skiing, sledding and ice skating you can do in some of the more northern national parks. You should certainly never get board while on a National Park Vacation with the multitude of things to do and amazing sights to see. So pack up the family or strike out on your own and see the big old United States of America! Acadia is located on the coast of Maine and one mount in Acadia boasts being the first place in the United States to receive sunlight every morning. Crater Lake is amazing, but watch out for the sheer cliffs that drop off into 1,500 feet of nothingness. There isn't any place on planet Earth like Grand Canyon. It will simply leave you breathless. You have to see it to believe it. Head out to Wyoming and see the twin peaks of Grand Teton. The Smokies are the most visited National Park in the US. Will you be one of its next visitors? Located in Washington state south of the Seattle area. Mt Rainer is known for receiving the highest annual snowfall of any area in the United States. This place is pretty amazing. Just imagine seeing fallen trees turned to stone. That's what the Petrified Forest looks like. The epitome of the beauty of the Rockies. When John Denver sang Rocky Mountain High, this was what he was talking about. One of the oldest National Parks in the US as it was established in 1872. Home of Old Faithful. Yoisemite was made famous by photographer Ansel Adams. You've probably seen his pictures of Yosemite Valley and El Capitan or Half Dome. Enjoy your next vacation in our beautiful National Parks.